In Skin Folk, Nalo Hopkinson’s short stories blend Caribbean folk tales and science fiction to pleasingly creepy effect. The author’s speculative fiction plays with the idea of people having an “Other” living within the boundaries of their own human skin. Hopkinson’s adept way with language as music and rhythm adds flourish to these tales. Fairy-tale bent, she begins her book with a spin on “Little Red Riding Hood” titled “Riding the Red,” the classic story told from the grandmother’s point of view. Hold on tight, because this is not your mother’s “’Hood,” but one that finally peels back the layers of that innocent story to find something very different at its heart. Another story that stands out is “Slow Cold Chick,” a tale based on Greek mythology. A dragon-like creature is born from a seemingly normal egg sitting in a refrigerator. The dragon represents the tale-teller’s own desires, and until she “owns” them, she will be dominated by them. I won’t tell you which way the wind blows in this story; the author keeps you guessing until the last line. Hopkinson is a master at capturing the vernacular of her childhood, adding an otherworldly dimension to her stories of shape-shifters and skin-walkers. In “Fisherman,” Hopkinson uses the dialect and idioms of another culture, Jamaican patois, to create a beautiful story about a young woman living among men. She wants the same things the men want, which include being with a woman. She saves her money and goes to a brothel with the other fishermen. Confronting the madam of the house, she hopes that she doesn’t give herself away. 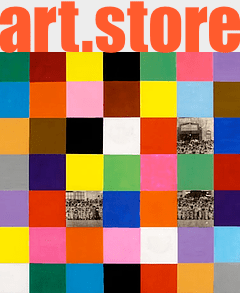 The story unfolds with miraculous subtlety and the payoff is rich. This is an early collection of Hopkinson’s work and I believe that in some of her later books the plots in her short stories are more tightly developed. 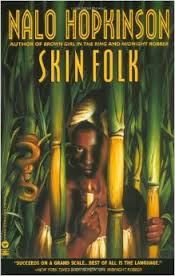 But if you want a quick, fun and sometimes chilling read on Halloween weekend, reach for Nalo Hopkinson’s Skin Folk.